Comma-Q Architecture is pleased to welcome Stephanie Jamrog to our staff. Stephanie is an Architect and Project Manager with a particular affinity for organization and Norwegian design. Steph grew up in the lake country of northern Minnesota and was strongly influenced by her Norwegian roots. 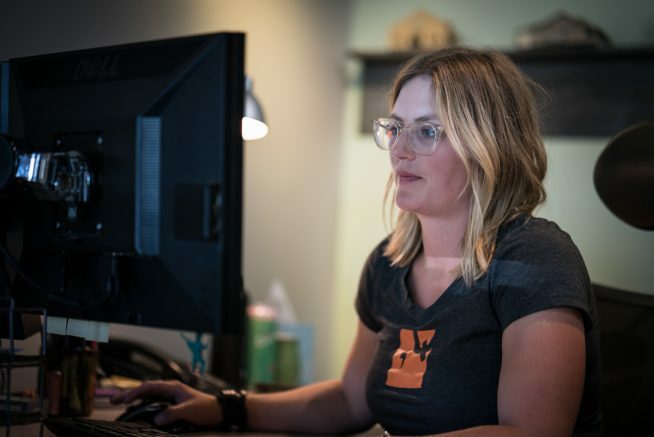 Since moving to Montana in 2007, she has fully immersed herself in the recreational opportunities of Montana’s stunning open spaces and has since become fascinated by the regional land use issues unique to the American West. Stephanie resides in Livingston along the Yellowstone River with her husband and border collie. For fun, Steph runs ridiculously long distances in the mountains.